I love the colorblocked mani!! pretty! I love doing my own manicures and taking care of my nails - for some reason I find it very relaxing (and no - it's not because of all those nailpolish fumes LOL!). Nice colours! Those will wear well into spring! Love your nails! 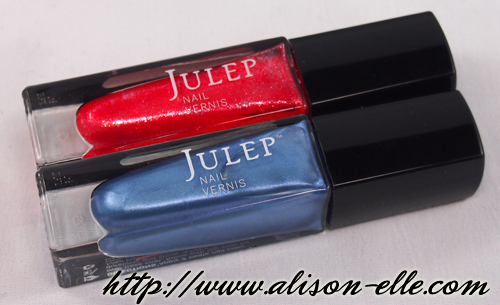 The colours look great; I've never heard of the brand Julep before though. Love when you do manis! Great colors and my sister Love loves julep. Oh very cool colours! See, I think they look great together!! 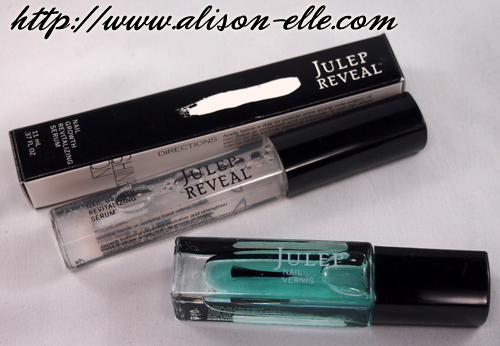 One of my favourite things about Julep too - the bottles!